ULTIMATE CRISPY BAKED FRIES — Thinly sliced potatoes are seasoned and roasted in canola oil in these super crispy, flavorful baked French fries. 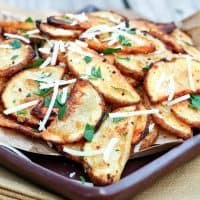 I’m always on a quest to make crispy, oven-baked fries, and I’ve finally discovered a recipe that I really love. Not only do these Ultimate Crispy Baked Fries come out nice and crisp, they are coated in a seasoning mix that really puts them over the top! They do take a little extra effort, but it’s totally worth it! The key is slicing your potatoes very thin–I aim for about an eighth of an inch. And don’t skip soaking the potatoes in water. This removes some of the starch from the potatoes and really does help them crisp up better in the oven. Just be sure to pat them dry before seasoning and baking. Whatever the main dish was that night, it definitely was not the star of the show. The recipe makes enough seasoning mix for several batches of fries. I just keep it in an airtight container in my pantry so it’s ready to use whenever I get a craving for crispy, oven-baked fries. Be sure to save this recipe for Ultimate Crispy Baked Fries to your favorite Pinterest board for later. 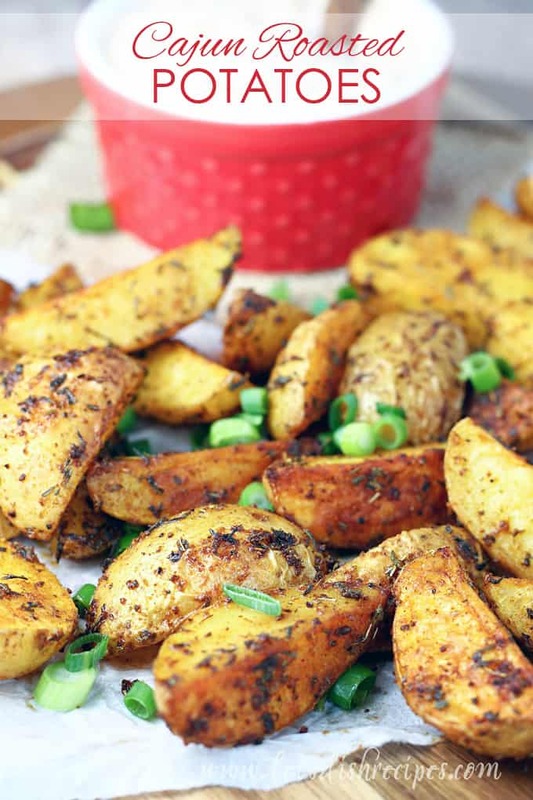 Thinly sliced potatoes are seasoned and roasted in canola oil in these super crispy, flavorful baked French fries. In a small bowl, stir together the ingredients for the seasoning. 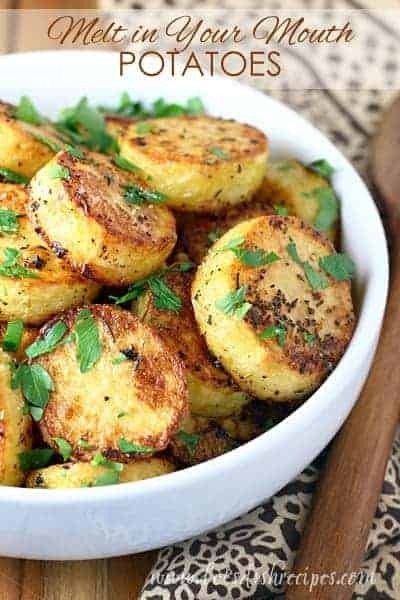 Slice the potatoes into thin, even wedges. Place in a large bowl and cover with boiling water. Let stand for 20-30 minutes. Preheat oven to 475 degrees. Drain water from potatoes and pat dry with a clean kitchen towel or paper towels. 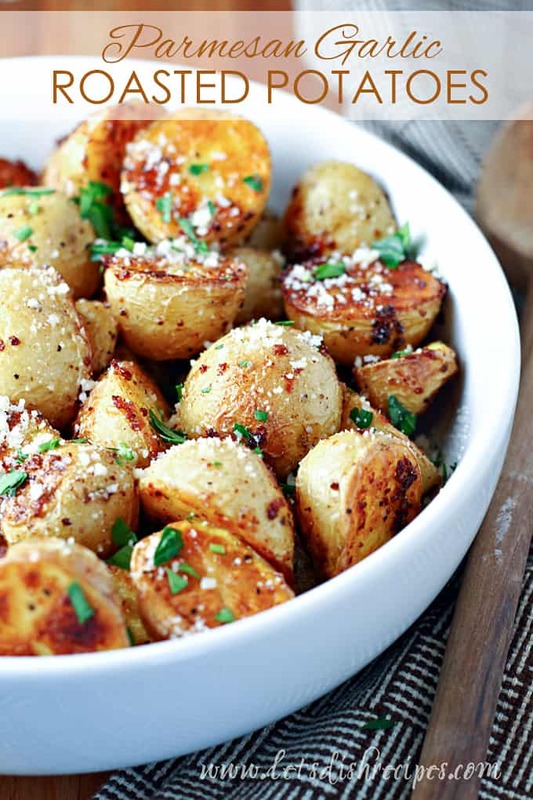 In a large, dry bowl, toss the potatoes with 2 tablespoons of oil and 2 tablespoons of seasoning. Pour an additional 1-2 tablespoons oil on a large cookie sheet and spread evenly with a pastry brush. Place the potatoes on the cookie sheet in a single layer. Bake for 15-17 minutes. Remove potatoes from the oven and flip, keeping them in a single layer. Return to the oven for another 5-10 minutes, or until golden brown and crispy. Total baking time will depend on the thickness of your potatoes. Who Dished It Up First: Adapted from The Recipe Rebel. 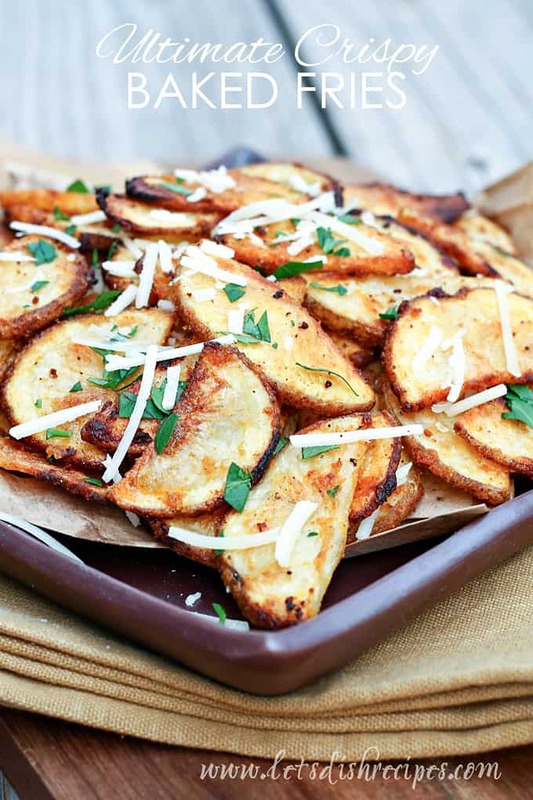 Girl… totally understand your quest for crispy baked fries.. this sounds and LOOKS delicious. Perfect this weekend along side a burger! Everyone needs a recipe for baked fries. This one looks amazing. This sounds great! Q: When you pour the boiling water into the bowl with potatoes – do you cover with a lid? I can’t wait to try this, Danielle! These potatoes are delicious, but I had a lot of seasoning left over when following the recipe. I was wondering if there was a step left out or if the measurements were mistaken. Anyway, I have some seasoning left over, and I am planning to use it on the next batch! Thank you for all of the wonderful recipes! Thank you! I think it just depends on the size of your potatoes, and how much seasoning you like to use. We like a lot, so don’t usually have much left. But if you do, I’d just save it for another time, like you suggested. Thanks for your reply. We are enjoying your recipes!